Look! What’s that rising above the horizon? Could it be a new powerful yet lightweight open source e-Commerce platform predicted by the ancients? Naaah, it can’t be… or is it? Meet Arastta everybody — a new name to your ears and a “young prodigy” among shopping carts. In brief, if you’d ask us to name the platform it resembles the most, we’d say OpenCart. That’s no wonder: Arastta is a fork of OpenCart, actually, and since they were built on the same framework, they have quite similar feel and look. 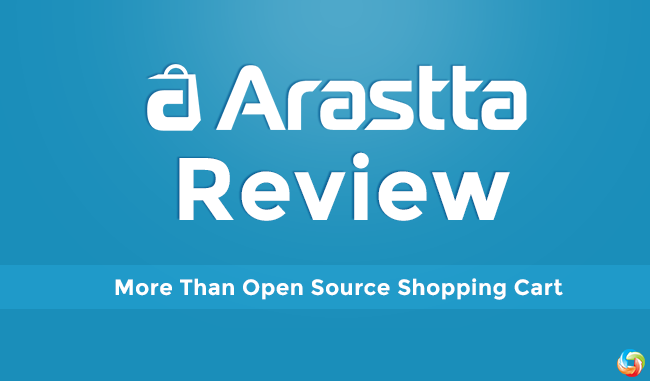 Moreover, Arastta is compatible with a number of OpenCart addons and themes! Considering how young the platform still is (Arastta was released in May 2015), these are some pretty good news. Arastta is a fully open source, free and community driven project, so called “the next generation e-Commerce software” built with such progressive technologies as Symfony, Doctrine, MVC, Bootstrap, jQuery, Swift Mailer etc. It has a fairly lightweight structure and a modular architecture, which makes it easy to develop extensions for, as well as customize for store owners. We usually don’t talk about the philosophy behind shopping carts, mostly because there are quite often none. But not in this case. Arastta is an ideological solution with a rigidly defined aim written in big letters on its homepage — “create a community driven e-Commerce”. And yet it moves in that direction: Arastta is free, open source and hosted on GitHub, which means it’s open for everyone to contribute. Even though being a fully open source solution with a convenient developer toolset, Arastta keeps non-technical users in mind. For this reason, it also goes with a number of simple yet powerful drag and drop tools such as Theme Customizer, Layout Editor, Menu Manager etc. In general, Arastta team did its best to reduce the learning curve needed to install (in 2 steps only) and configure a functional store to a minimum. To cite one example, take a look at how easy it is to create new layouts or edit/delete existing ones and assign modules to them by just dragging & dropping. SEO is definitely a strong side of Arastta. For instance, it comes with SEO URLs enabled by default, saving you $50 you’d have to pay if using OpenCart. Also, by creating unique page URLs and smart redirects, Arastta’s SEO helps to avoid being mistakenly penalized by search engines for duplicated content. Arastta also has a little something for global players — multi-language SEO URLs. Such feature allows to have SEO URLs based on the active language, turning, for example, product.html in English, into prodotto.html in Italian automatically. The platform puts a strong emphasis on marketing and promotion features as well, offering a number of tools able of converting accidental visitors into loyal customers. Affiliate programs, customizable email templates, coupons, gift cards, newsletters, sitewide specials — all these are there and ready to be implemented off-the-shelf. And don’t worry: the effectiveness of your marketing efforts won’t pass by your eyes. Thanks to built-in stats & graphs you’ll get access to all the needed insights on the performance of your business in real-time. Ever seen a store running on OpenCart? Well, that’s how Arastta looks like too. Literally. It copies OpenCart in terms of design and does it perfectly well. Moreover, Arastta is compatible with OpenCart themes, the number of which reaches more than 1000 on the official marketplace. Of course, as any other competitive e-Commerce solution nowadays, Arastta is fully responsive all the way through its core and capable of selling equally well on every device out there. Also, it has an easy to use theme customizer that strongly resembles the one you can find in WordPress. It allows to change the look and feel of your store with a real-time preview — no HTML or CSS knowledge required. One of its top features and the one OpenCart lacks is Layout Editor we’ve mentioned above. Again, it resembles WordPress and the way it allows you to assign modules/widgets from one place just by drag & dropping them. But since neither OpenCart or Joomla users couldn't experience the benefits of doing so before, built-in Arastta Layout Manager is a significant improvement. What’s the conclusion? Arastta is a promising, powerful and lightweight solution that is still to make a name for itself. And we know it will. Meanwhile others just smelling about it, you have a chance to become a part of its rapidly developing community right now. Recently, Cart2Cart has added Arastta to the list of supported platforms, making it accessible for everyone. And now, when a quick, simple and automated migration to Arastta is a reality, brace up and start with a free Demo to check out this awesome solution yourself.